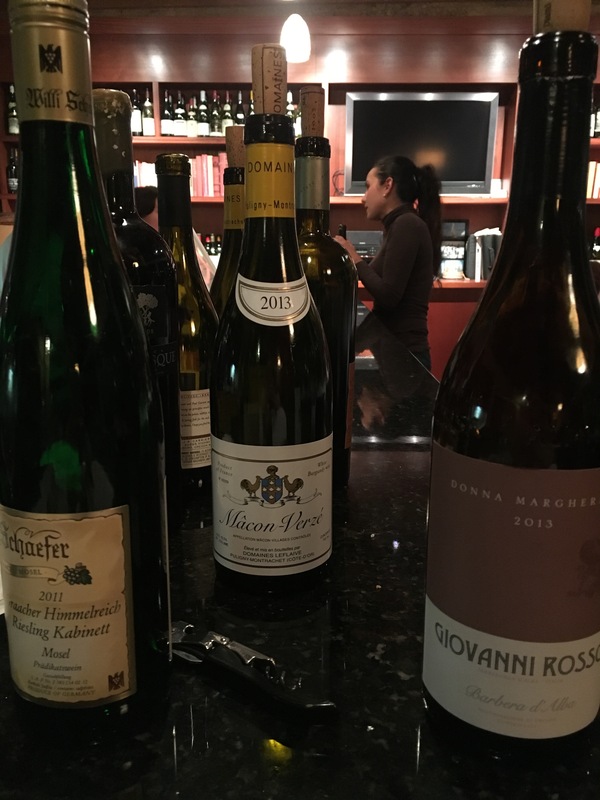 Recently we held our first Wine & Food pairing class in a long time, led by Master Sommelier Gillian Ballance with food prepared by chef Alejandra Espinoza. Before diving into the pairings we learned some basic “rules,” the first being that food changes wine but not the other way around – wine will not make a food better or worse, but food can do one or the other for wine. 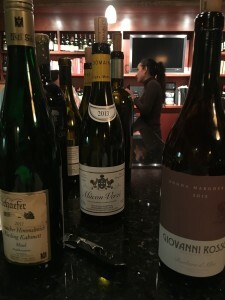 The second was that like flavors play well together, like fruity with fruity, earthy with earthy, sweet with sweet, but not too sweet – the food should not be sweeter than the wine; this is why (dry) red wine and chocolate is often a failed pairing. Gillian shared some of her experience working at Windows on the World in the former World Trade Center, where she and her fellow employees would spend hours working on the perfect food and wine combinations. An art more than a science, trial and error is the best way to find the best matches. 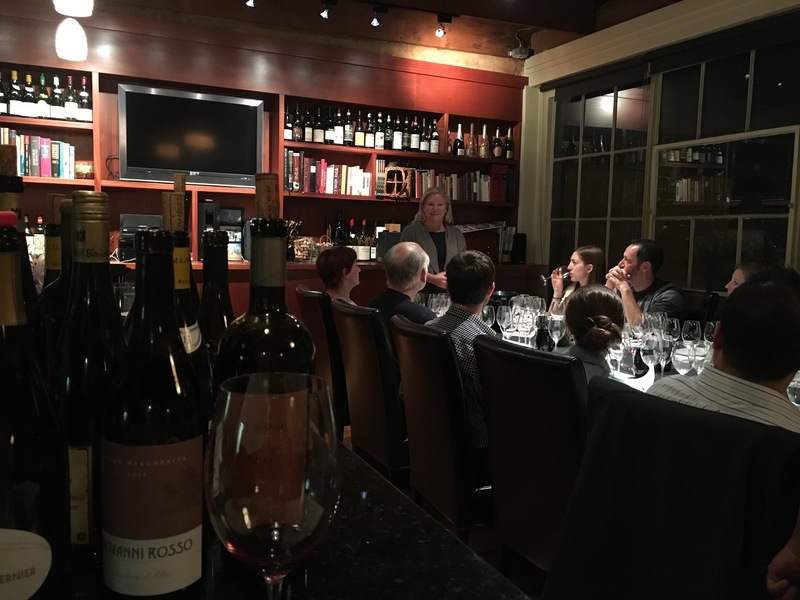 Students brought their thirst and appetite to this class, and the best pairing of the night was the Oregon Pinot and the mushroom flatbread – an example of earthy + earthy. 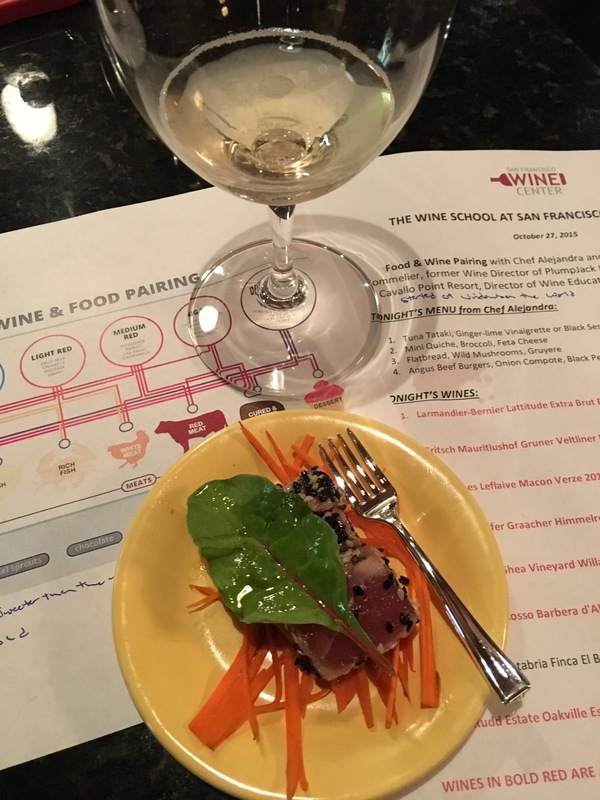 This class also reinforced my opinion that Champagne and Riesling are the most food-friendly wines around; their acidity makes them pair well with both fresh and rich dishes.